Save the date: AgrAbility all-staff call/web meeting on March 20 at 11:00 a.m. EDT. Make sure to use agrability-staff@lists.purdue.edu and not agrability-staff-bounces@lists.purdue.edu. Your message will bounce if you use the latter. Amber Wolfe continues her participation with the Osteoarthritis Action Alliance as the AgrAbility representative, and continues to serve on the planning committee for the Midwest Women in Agriculture conference and the AgrAbility National Training Workshop. The NAP website now lists recent additions to the Toolbox on the left column under the main menu. Click here for the schedule of upcoming Community of Interest and Standing Committee call information. CalAg had a booth at the Farm to School Farmer Training at the UC Davis Robert Mondavi Institute for Food & Wine, and CalAg-Arthritis Foundation leaders conducted land exercises at rural venues in January. CalAgrAbility continues to use Twitter with over 100 followers. Staff participated in the webinar Improving Rural Behavioral Health Services for Veterans and the quarterly Ergonomics Roundtable. Maine AgrAbility has shared two new success stories this month, one from a home gardener and the other from a dairy goat farmers with PTSD. The Ohio AgrAbility Project and Goodwill Easter Seals Miami Valley have begun the process of working together to develop resources for systems in greenhouse environments that will expand opportunities for those with disabilities. 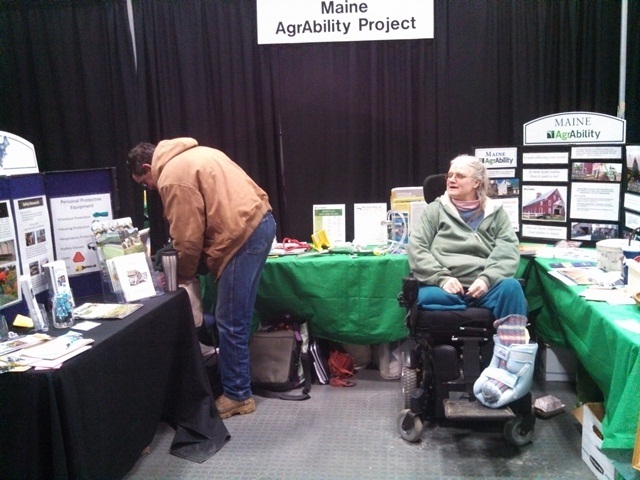 The AgrAbility of Wisconsin Project exhibited at the La Crosse Farm Show in La Crosse, Wisconsin January 15-16. 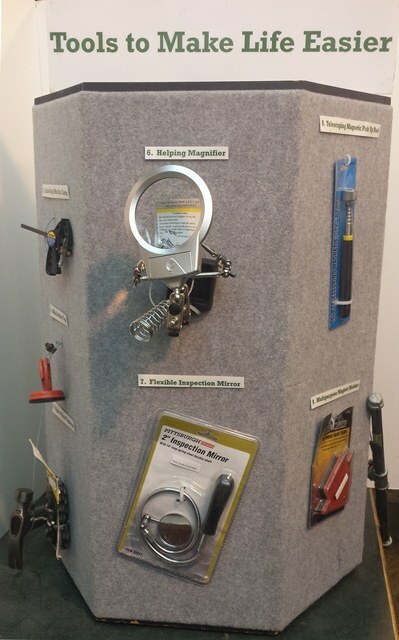 The exhibit included an AgrAbility tabletop display and resource materials. AgrAbility staff will work with West Virginia State University on funding for a potting shed and the implementation of raised beds in a high tunnel in Fayette County. AgrAbility UK, already functioning in England, is establishing its services in Ireland. Based in County Cork, it will share the aims of the AgrAbility projects in the USA and further extend the availability of technical assistance without cost to disabled farmers, equestrians, and rural workers. It will be managed by Dr. Robert Stuthridge, formerly project ergonomist with the NAP. 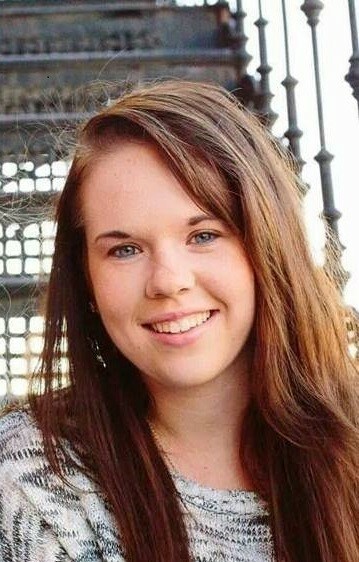 Welcome Lindsey Gregory who is serving as an intern this semester with the MO AgrAbility Project. Lindsey is a junior health sciences major and a minor in agricultural systems management at the University of Missouri-Columbia. She grew up on a farm in Excelsior Springs, Missouri and also works full time for Boone Hospital Center Ambulance Service as an EMT-B. After graduating from the University of Missouri, she would like to go to graduate school for a physician's assistant program. Andy Bauer is the new education coordinator. Andy comes to us with a farm background and 29 years experience in the commercial grain industry. Andy's responsibilities will include developing educational resources, conducting presentations to farmers and agricultural groups, and providing on-site farm assessment and educational training. Andrea Gorzitze will be taking on the responsibilities of marketing coordinator. Andrea's experience includes outreach, marketing, and working with grant funded programs. Andrea will be developing media materials, website content, display materials, and coordinating webinars and workshops for Ohio AgrAbility. AgrAbility of Wisconsin said farewell to Hannah Gerbitz as she recently graduated from the University of Wisconsin-Madison in December 2013. Hannah served as the AgrAbility program assistant for over a year in all facets of the program and was a vital part of expanding our social networking. Hannah is now a sales and marketing associate at DuPont Pioneer here in Wisconsin and we wish her all the best. AgrAbility of Wisconsin welcomes Lisa Schram as the new AgrAbility program assistant. Lisa is currently a junior majoring in agricultural business management. Click here for news stories featuring AgrAbility projects. Click here for other news of interest to AgrAbility staff members. Click here for professional development events related to AgrAbility.